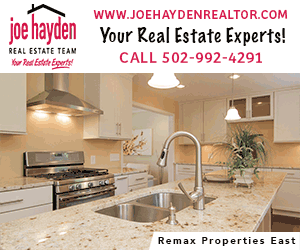 Ronald McDonald House – The mission of Ronald McDonald House Charities of Kentuckiana is to provide a “home away from home” for families of children receiving healthcare at area medical facilities while also lending support to other organizations who aid children. They have several different opportunities for ages 6+. See our review of one such opportunity here. Fed With Faith Fed with Faith is a Louisville-based homeless outreach aimed at providing food, shelter, and essential resources to the indigent population with particular focus on 18 to 24 year olds. They work with families, street youth, runaways and general homeless to gain resources that may help them. The folks at Fed With Faith are incredible to work with! When my family and I volunteered, even my 4 year old was able to help. ApertOWL – While ApertOWL usually does service projects with groups – Girl Scouts, beta club, church groups, etc., founder Taryn Skees has opportunities for families or a group of families as well. Her mission is to raise awareness and help families with a child diagnosed with Apert Syndrome. She discusses her own son’s journey with Apert syndrome and how to handle talking to your children about noticing differences in others. The group then decorates the boxes for “Whooo’s Brave Kits,” a care package sent families of children with Apert syndrome. This is another opportunity where even little hands can help! Humble Pie – Humble Pie is a Louisville-based children’s volunteer group offering charity opportunities for children ages 12 & under. Check their calendar for different service opportunities each month ranging from making care packages to volunteering at Creasy Mahan Nature Preserve. Cozy Cuddlebugs – Sponsored by the families of Withrow Price Real Estate Group, Cozy Cuddlebugs makes no-sew blanket comforters for the children at St. Joseph’s Childrens’ Home. Upon leaving St. Joe’s, each child gets to keep his/her blanket. Families can help by making a monetary donation to sponsor a blanket, attending a blanket party or both! Snacks in Snacks – Snacks in Sacks meets at Fern Creek United Methodist Church, typically on a Friday evening, every 6-8 weeks. They fill gallon sized bags with food for the homeless in our community. Organizer, Trisha Drake, has a list of snack ideas to purchase for the bags. This is a great way to serve with the entire family! Dare to Care – Dare to Care partners with over 300 local social service agencies, such as food pantries, shelters and emergency kitchens to distribute food to our community. Dare to Care also fights hunger through programs targeting the most vulnerable in our community. These programs include Kids Cafe, Backpack Buddy, Mobile Pantry, Cooking Matters, and a variety of targeted initiatives to reach senior citizens. Bread of Life Food Pantry – Grace and Glory Lutheran Church, partners with Dare to Care, Kentucky Harvest, and local farmers, to eliminate hunger in our community. Each month they serve 1,000 or more people. 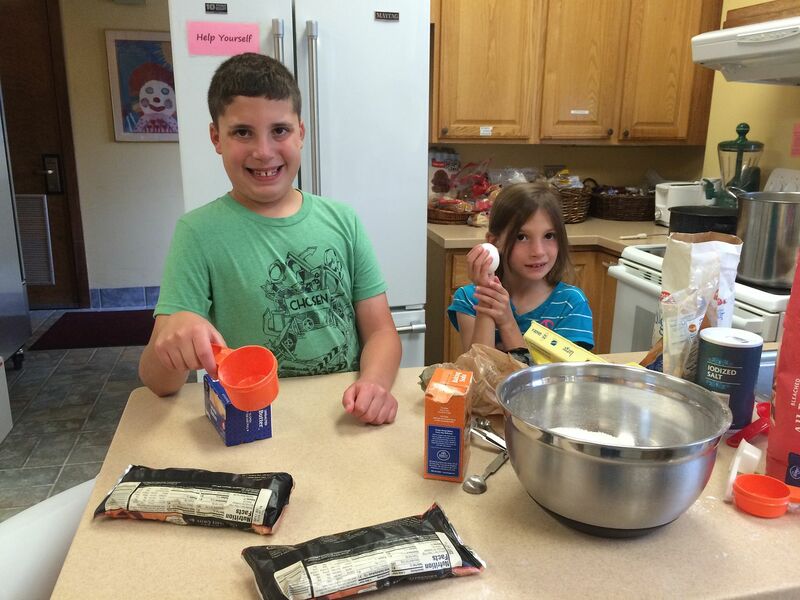 Kids can help by raising money or collecting non-perishable food and personal care products for the pantry. Older children, teens and adults can assist with stocking and distribution. Kentucky Humane Society – The Kentucky Humane Society (KHS), located in Louisville, KY, is a private, nonprofit organization that is Kentucky’s largest pet adoption agency and largest no-kill animal shelter. KHS has opportunities for children 10+. All new adult, student, and junior volunteers must attend an orientation and training session at either our Main or East Campus before they begin. Cabbage Patch House – The Cabbage Patch Settlement House serves 1,000 to 1,200 at-risk children and their families each year, creating an endless need for donated goods and services. These donations allow the Cabbage Patch to maximize every dollar raised and put it to use providing critical programs and services to at-risk children and families. Purses With a Purpose – Started by a young lady in Louisville, Purses With A Purpose collects gently used purses for underprivileged women and teens and fills each purse with essential items and a Bible! 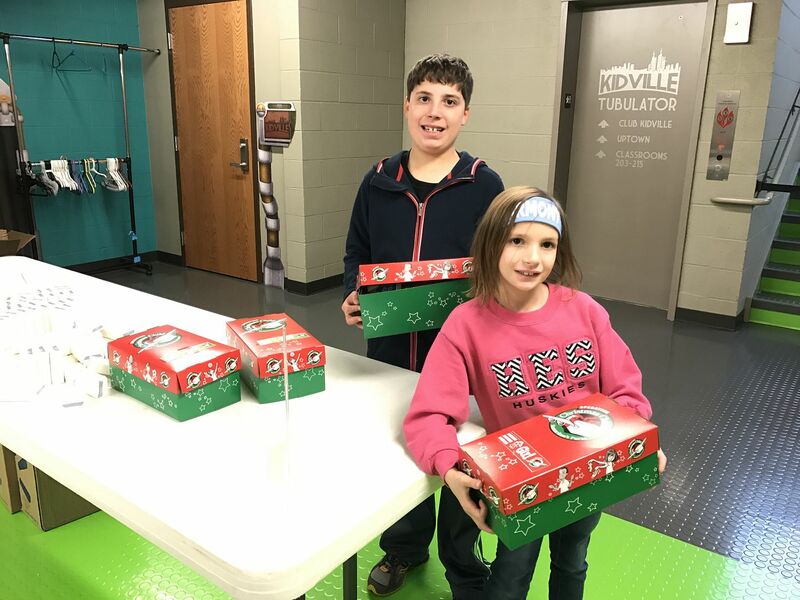 Operation Christmas Child – The world’s largest Christmas project of its kind, Operation Christmas Child, uses gift-filled shoeboxes to demonstrate God’s love in a tangible way to children in need around the world. Collection week is November 14-21. If you miss this one, have a Christmas in July packing party for next year! Little Free Library – Collect books through Metro United Way for the Little Free Library initiatives. A Million Thanks – Have a letter writing party! Write letters and make cards of appreciation for our military, past and present. Active and reserve service men and women, as well as veterans will receive these messages, whether they are serving at home, abroad, or are injured in hospitals. In addition to all these great opportunities for families, you can also host a collection party! There are several ministries and causes that are in desperate need for donations. Check with local food pantries, schools, churches and charities for “wish list” items and hold a collection party with your family and friends. 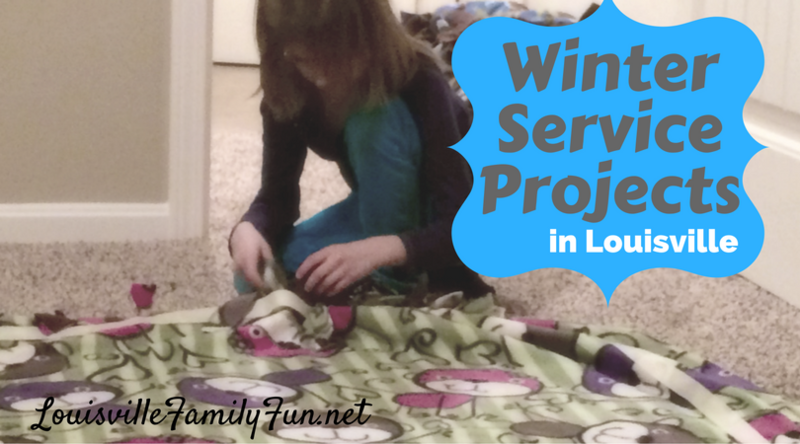 If you know of any other great indoor/winter family service opportunities that should be included on our list, please email brandy@louisvillefamilyfun.net.